The Super Chevy Show is back and better than ever for its return to Palm Beach International Raceway (PBIR) on April 20-21, 2018. 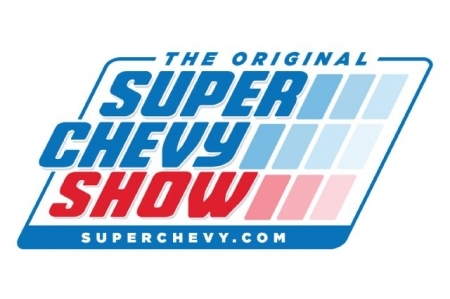 The original Super Chevy Show is the premier destination for all things Chevrolet and you won’t want to miss a minute of the excitement when the tour comes to sunny South Florida. There will be multiple classes of drag racing — Top Eliminator (Box), Super Eliminator (No Box), Junior Dragster, 10.00 Index, and LS Shootout — over a 1/4-mile track competing for cash and other prizes. In addition, there is a swap meet where you can find those hard to locate parts, a Chevrolet-focused performance marketplace and the largest collection of Chevrolet vehicles in one place from classics to modern, all looking to take home the best-in-class award and a coveted Super Chevy Show jacket. There are several ways to enjoy the Super Chevy Show — register your vehicle to drag race, enter your car in the professionally judged car show, display your car otherwise or take in the excitement as a spectator. More Super Chevy Show events will be announced over the coming weeks. Race divisions, entry fees, prizes and car show classes are listed below. General admission tickets start at $15 for Friday and $30 for Saturday. Tickets go on sale Friday, March 9th. For more information, visit racepbir.com.